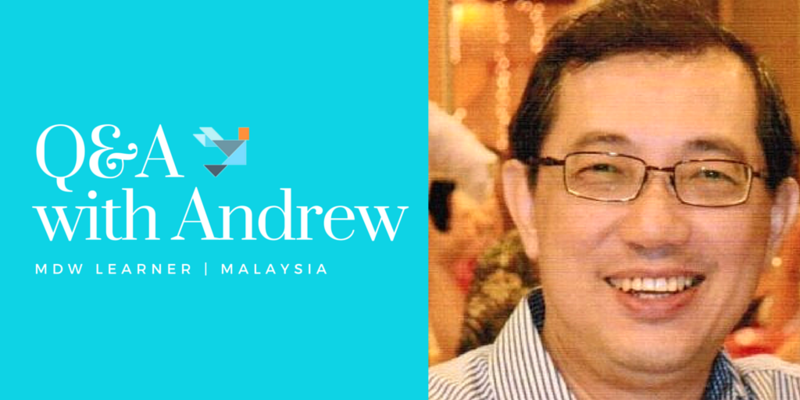 This week’s learner of the week is Andrew Lee from Petaling Jaya, Selangor, Malaysia. 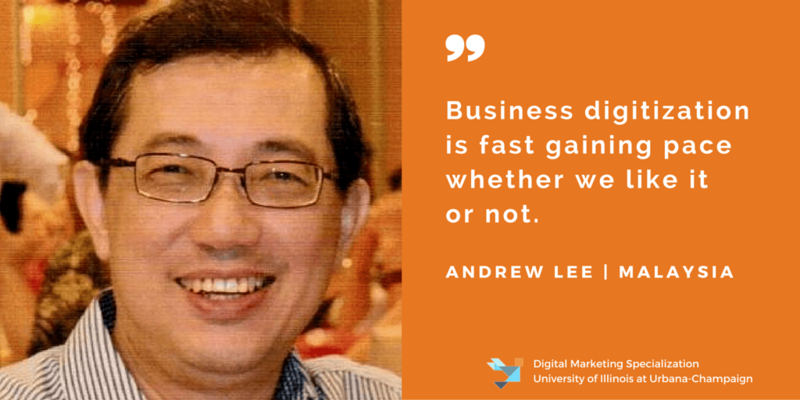 He is a learner in the Marketing in a Digital World Course. Until a month ago, I was a GM of Sales and Marketing in the FMCG and Travel industry. An organization that has a work culture that truly practice mutual respect, trust and equal opportunity for career success. Business digitization is gaining fast pace whether we like it or not, and I like to be empowered with the knowledge and competencies to raise my professional value in Marketing. Although I am familiar with the 4Ps of Marketing, I now realize it requires a change in mindset and application due to digital technology. Not yet, but I am keen in developing for Asia where it is still lagging behind the U.S. I hope to to connected with the experts to bring some of the technology to Malaysia. Make time to finish what I’ve started. If they own at least one smart device, then this is the specialization course that would cause them to be smarter in consumption and application. Best of luck with your marketing career; you are right, it is important to be prepared for the digital age. Interesting, as a startup mentor, I’m meeting a lot of entrepreneurs in the FMCG ecommerce arena, all focused on digital marketing for their startups.